October 9th, 2014, 5:15-6pm & 8pm-8:45pm: New York Comic Con – Javits Center, New York, NY. 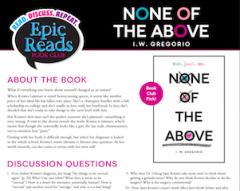 Thanks to the amazing people at Balzer + Bray / Harper, I’ll have some ARCs of None of the Above for distribution after both panels below! This panel sponsored by the ALA will look at the history of diversity in comics (pros and cons), give examples of diverse comics from the United States and internationally, and discuss why the comic format is important when considering different perspectives and viewpoints. Featuring Amie Wright (NY Public Library), Craig Anderson (Kean University), & Lucia Cederia Serantes (Queens College). November 22, 2014, 11am-12:15pm, 1pm & 2:45-4pm: National Council of Teachers of English (NCTE) Annual Conference – Gaylord National Resort, Washington, DC. It’s shaping up to be a busy day at NCTE! 2) 11am (Maryland 3/4) – I’ll be the WNDB representative on First Book‘s “Stories for All” panel. 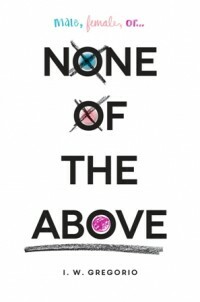 3) 1pm-1:30pm (HarperCollins booth, exhibit hall) – I will be signing advance readers copies of None of the Above! 4) 2:45pm (Potomac 5/6) – Official “We Need Diverse Books” panel with Ellen Oh, Meg Medina, Anita Merina (National Education Association) and Jerrie Cobb Smith (University of Memphis). Erica Perl will moderate.